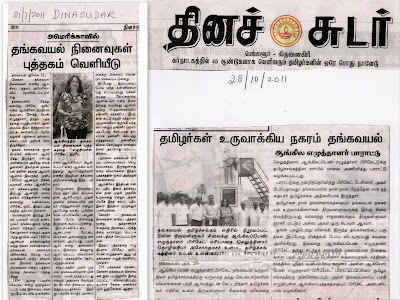 I was invited by Mr Kalaiarasan, President of the Tamil Sangham in KGF to visit their Office at the Tamil Sangham Office in Robertsonpet KGF on the 28th of October 2011. During the a small Get Together, the members of the Sangham felicitated me on my book KOLAR GOLD FIELDS DOWN MEMORY LANE. It was indeed an honour and I felt very humbled and grateful for the affection and warm appreciation showered on me by all those present.Thank you Mr Kalaiarasan, Mr. Anbuarasam, Mr Prabhu and all the others who were present on the occasion. God bless you all. 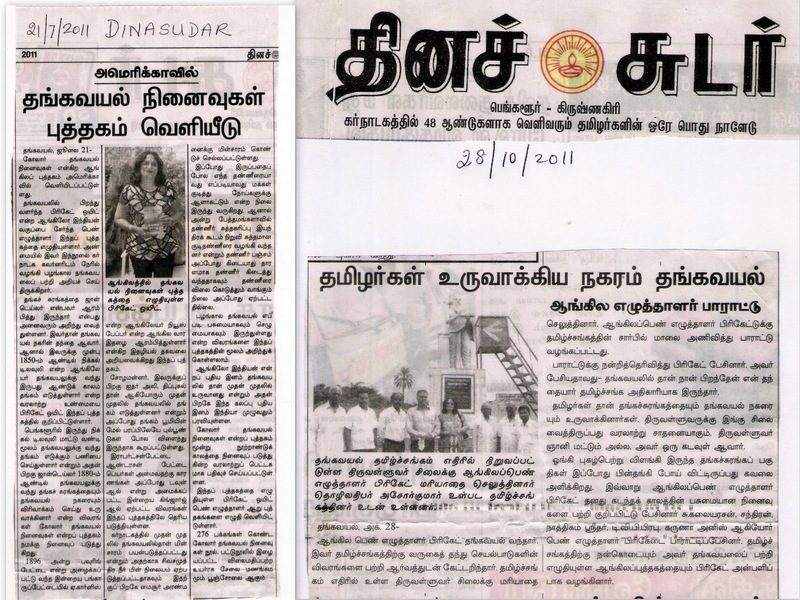 The Newspaper Articles featuring me in THE DINASUDAR Tamil Newspaper is appended below.